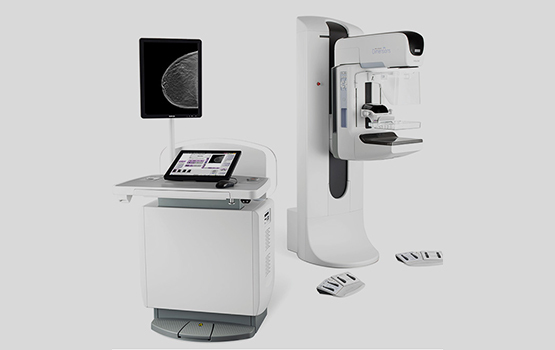 Star Imaging is redefining women’s healthcare in the city with the first SELENIA DIMENSIONS Full Field 3D Digital Mammography System with Tomosynthesis and a Vacuum Guided Biopsy Unit. SELENIA DIMENSIONS is a flexible digital breast imaging platform, with state-of-the-art image acquisition and display capabilities. Images can be acquired within seconds, translating into less discomfort for the patient. More importantly, this technology reduces radiation exposure by 30%-50%, while delivering superior image clarity and contrast. 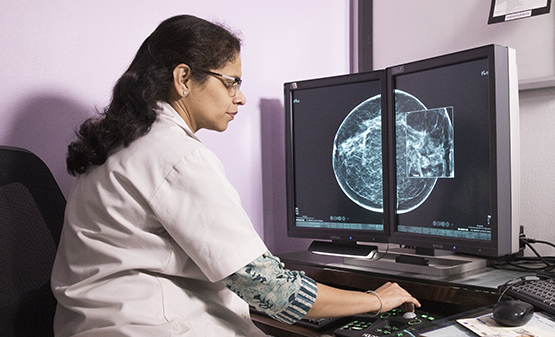 In addition, our Mammography system is equipped with Tomosynthesis – a revolutionary technology that allows for 3D reconstruction of images and enables a radiologist to identify and characterize individual breast tissues without the confusion of overlapping details. 3D images highlight every minute detail like never before and offer extra clarity as compared to 2D scans, resulting in a more accurate diagnosis. This system comes with a next generation biopsy attachment for accurate and precise biopsies of smallest possible breast lesions. With Tomosynthesis biopsy capabilities, there is potential to detect and biopsy suspicious lesions that may not be visible under any other imaging method. When you choose Star Imaging, you can be assured of the best imaging technologies and superior care administered by expert female radiologists specialised in breast imaging.